Chicago is known for its outstanding restaurant scene but it's also home to some great chain and independent grocery stores where you can find almost anything you need, whether it's to whip up a grilled cheese sandwich or beef bourguignon. To find the best apartments in Chicago near grocery shops, we crunched the numbers from Rent.com and compiled this solid list of 10 apartment locations — all of which are within walking distance from great fresh food options. 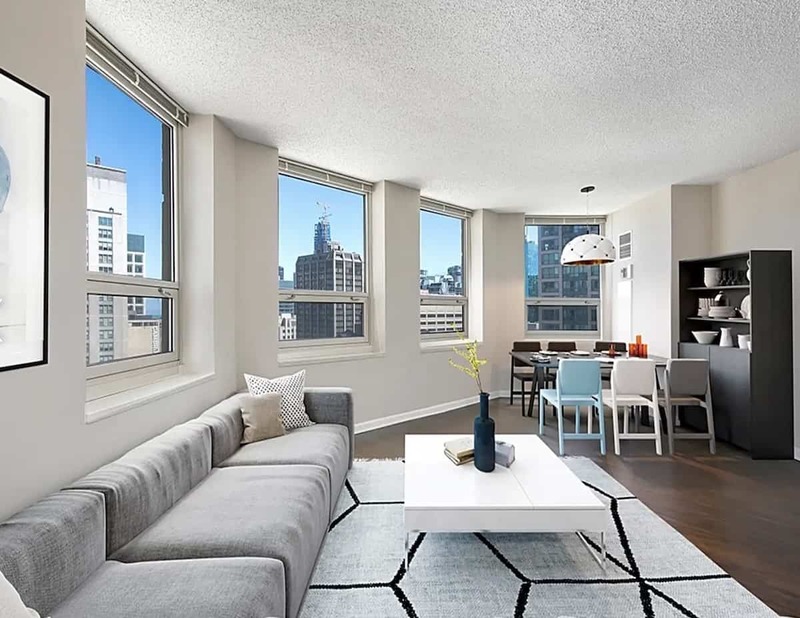 Without further ado, here are the best apartment buildings for those who want easy and fast access to grocery stores in The Windy City. 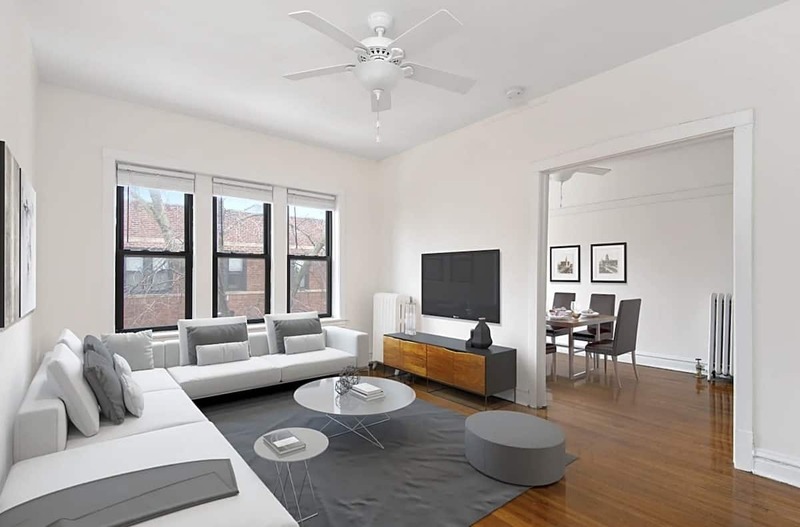 2828 N. Pine Grove offers studios through three-bedroom units in a Victorian-era hotel that has been transformed into a modern-day apartment building. Each apartment features hardwood floors, oversized closets and updated kitchens — perfectly mixing vintage and modern styles. Located in East Lakeview, you’re never too far away from shopping options. There’s a Walmart Neighborhood Market, Target and Trader Joe’s all within a five-block radius. Plus, organic neighborhood favorite Go Grocer is just about a five-minute walk away. 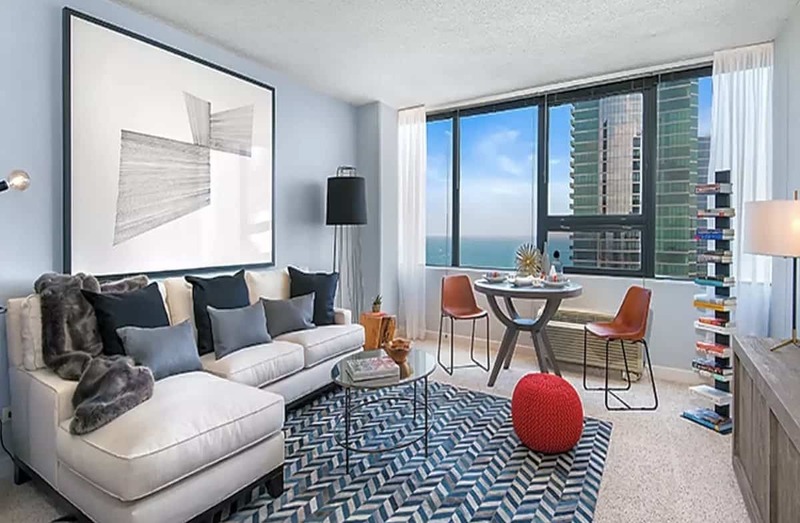 Steps from Water Tower and the Magnificent Mile and surrounded by some of the most stunning 360-degree views of the city, The Chicagoan offers junior one-bedroom, as well as one- and two-bedroom floorplans. All of them include kitchens with granite countertops and stainless steel appliances. An updated fitness center and heated outdoor pool with a deck overlooking the city are among the building’s many amenities. Residents also enjoy free password-protected Wi-Fi throughout the entire building. Free bike storage is available and for those with an electric car, there is a car charging station in the garage. Zipcars and I-Go cars are available for those who don’t have a car, making it even easier to enjoy the city car-free. You won’t need wheels to get to your favorite grocery store. Potash Markets has a neighborhood grocery store at the Hancock Building nearby complete with a large deli and bakery section and it also offers delivery seven days a week. Whole Foods is also within walking distance. Many thoughtful details make 465 N. Park a special place to live. Whether it’s a studio, one-, two- or three-bedroom unit, residents enjoy breathtaking views, an outdoor pool, an outdoor lounging area complete with grills and fire pit, exercise room, group exercise classes, a sauna and even a room to enjoy a round of pool. Units are packed with features, too, including floor-to-ceiling windows, island kitchens and an upgraded closet system. For those who love to cook and appreciate a more curated grocery store, head to Bockwinkel’s, an upmarket grocer open late that includes a deli serving take-out sandwiches, as well as a salad bar and prepared foods, conveniently located just a couple of blocks away. For a more full-service grocery shop, Whole Foods is around the corner. UnCorkIt Wine is down the block offering a wide variety of wines and liquors from around the world. A charming three-story vintage walk-up in the Lakeview neighborhood, 634 W. Cornelia is within walking distance of so many great restaurants and shops. The well-kept building features a peaceful courtyard and back porches. 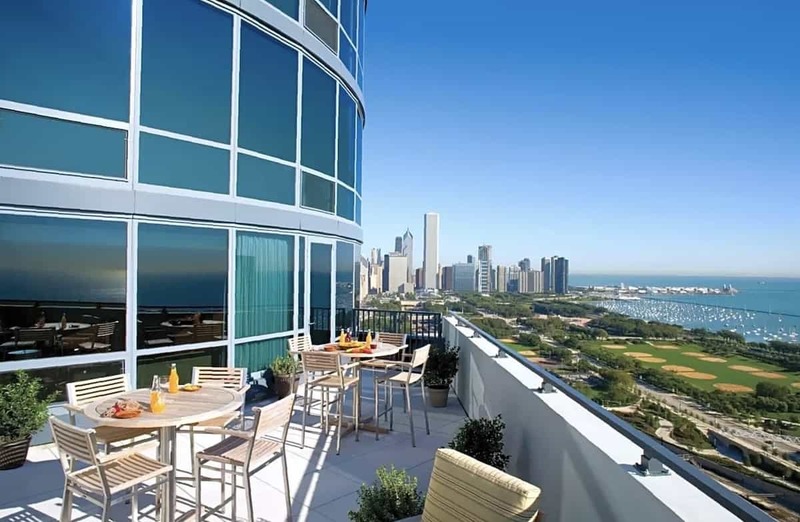 It also offers assigned off-site parking, a perk in this densely-populated area and especially appreciated during baseball season since Wrigley Field — home of the Chicago Cubs — is just a few blocks away. It’s also a block from Lincoln Park and the lakefront path. The charm extends to the inside as apartments have crown molding, hardwood floors and large closets. Jewel-Osco within the same block as 634 W. Cornelia makes grocery shopping a breeze. When you want to try a new blend of coffee or tea, head to The Coffee & Tea Exchange a few blocks away. The independent shop and coffee roaster has been selling beans and teas from around the world since 1975 and is a destination for those who love their coffee and tea. 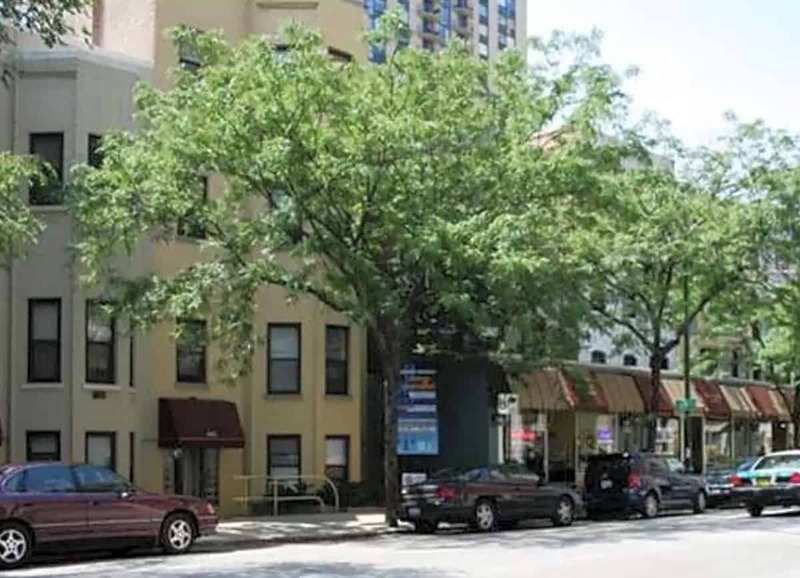 Winthrop Place, in the heart of Edgewater, is also located in one of the most ethnically diverse neighborhoods in the city. Indian, Ethiopian and Thai places are all within walking distance, whether you’re looking for restaurants, apparel or grocery stores. The area is also home to Loyola University and the residents benefit from the number of outposts that cater to college students. 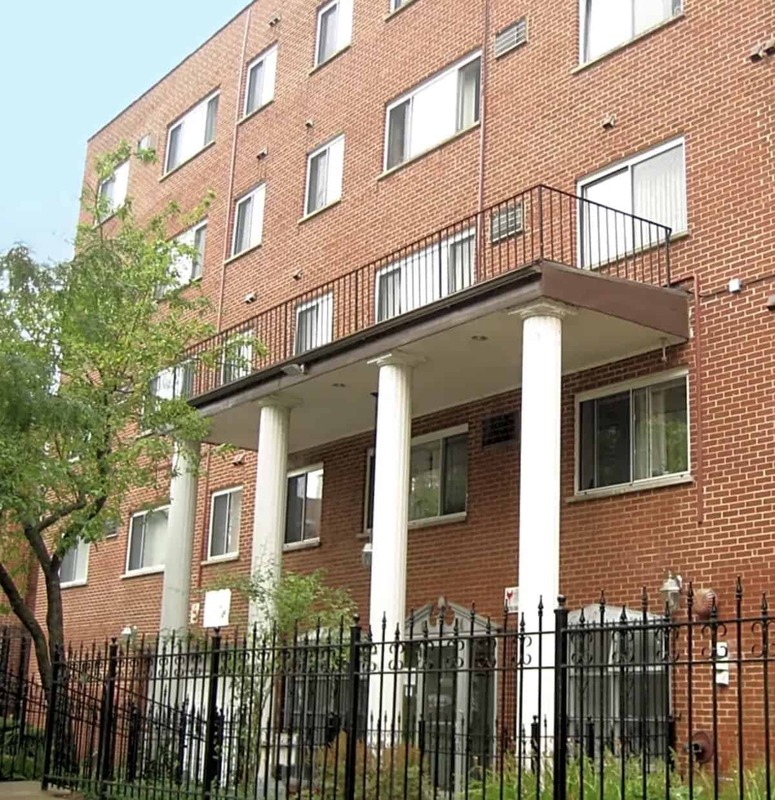 Pass through the Roman columns of Winthrop Place to reach your studio or one-bedroom apartment, which comes equipped with a dishwasher and microwave. On-site parking is available. If you feel like trying your hand at an Ethiopian dish, Kukulu Market is a nearby specialty market that sells Ethiopian ingredients and coffee. Thorndale Mart is down the block ready to fill your basic necessities. When you need a larger grocery store, Whole Foods is down a block and Aldi’s is also within walking distance. 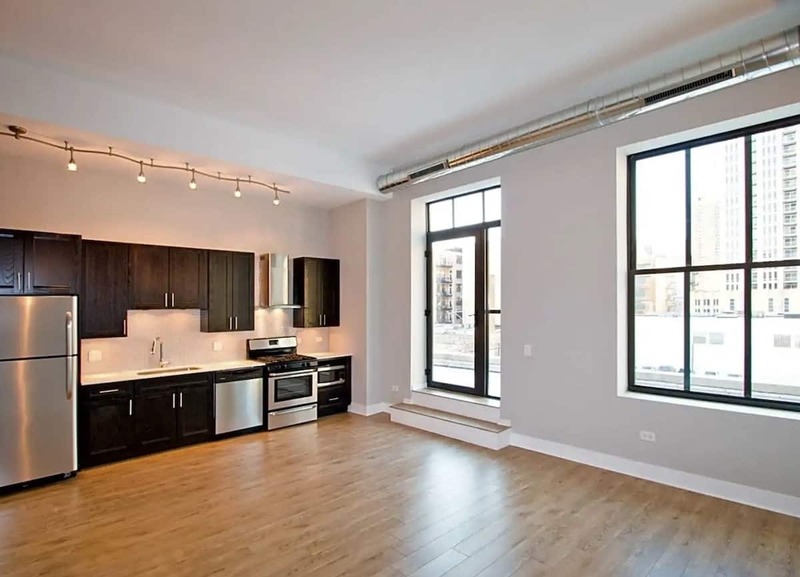 Enjoy urban loft living at Aviation Lofts, whether it’s in a one- or two-bedroom apartment with 12-foot ceilings and thoughtfully-designed floor plans in the heart of the South Loop. Modern finishes can be found throughout, including kitchens with stainless steel appliances and quartz countertops, wide plank flooring and private balconies. 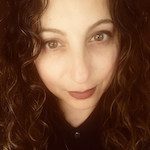 There are so many restaurants within walking distance, but when you want to cook up something fun or just need a few ingredients, there are several grocery options nearby, from smaller neighborhood outposts to full-fledged grocery stores. Check out Go Grocer and Greenleaf Food Market to support local grocery spots. Just a few blocks away is Trader Joe’s and Jewel-Osco, when you need to go on an all-out grocery trip. Gramercy Row Apartments offers residents the chance to live within unique English Row Houses and Art Deco-style buildings in the bustling River North and within walking distance to the lake, train, shopping, restaurants and nightlife. Some of the studio and one-bedroom units even come fully-furnished. The cable-ready units feature newly-remodeled kitchens and bathrooms. Head to Whole Foods a block away for your grocery needs or, just five blocks away, is Eataly, the Italian emporium featuring two decadent floors of all types of Italian foods as well as several Italian restaurants. There’s even a cooking school on the premises for those who want to brush up on their Italian cuisine. Select units at Optima Signature come with built-in stainless-steel appliances, quartz or granite bathroom counters, Snaidero cabinetry, Balterio wide-plank flooring and some even come equipped with a wine refrigerator. 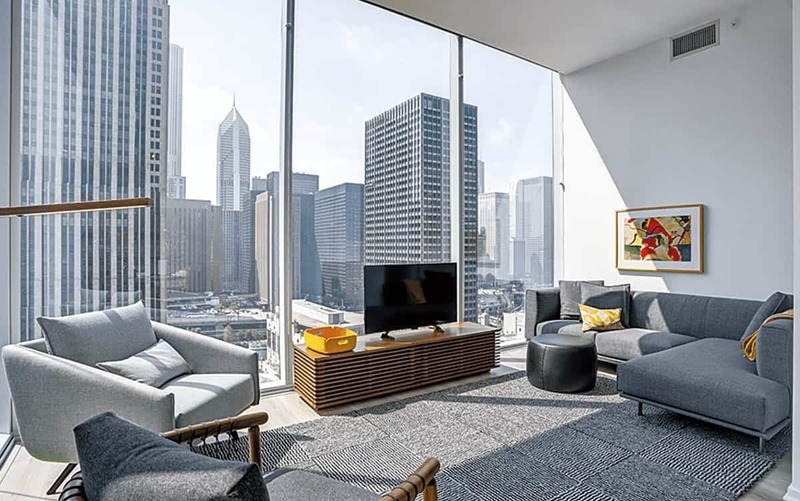 The eye-catching Streeterville LEED Silver Certified building stands an impressive 57 stories tall and offers residents the option of floor plans ranging from studios to three-bedroom apartment homes. A number of entertainment options abound, from an area to practice your golf swing and yoga studio to practice your child’s pose. There are both indoor and outdoor heated swimming pools, cabanas, and bars, a cutting-edge fitness center that offers a WELLBEATS virtual workout studio and steam rooms, and a place for the younger set to play. Its prime location makes it easy to find almost anything, including groceries to whip up something fun in your kitchen. Whole Foods Market is around the corner and just a couple of blocks away is Jewel-Osco and UnCorkIt for all your wine needs. Open floor plans are part of the appeal of this architecturally-exciting building built with luxury in mind. Fitness fans will appreciate access to a 24-hour fitness center with cardio and strength equipment and bike storage at SKY55. 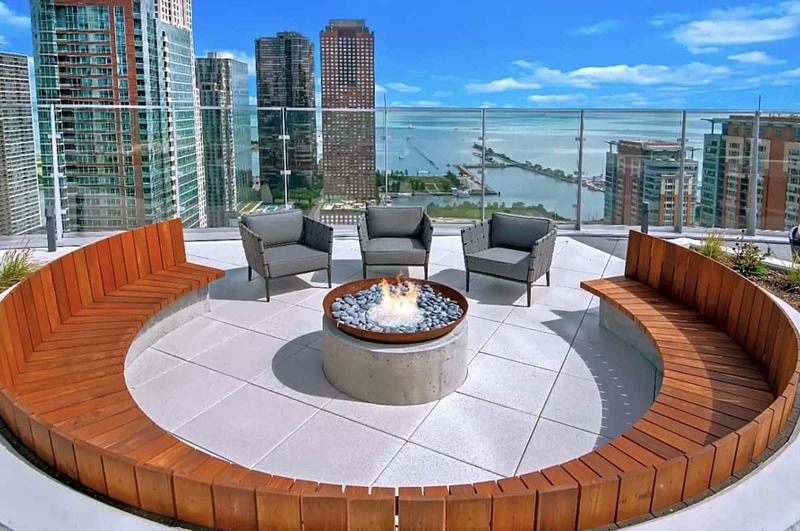 Those who love to entertain will find themselves spending a lot of time on the rooftop terrace with a pool and hot tub, as well as a fireplace lounge and grills at the ready to enjoy outdoor dining. There’s also billiards and game rooms. Apartments come with upgraded appliances and finishes, kitchens feature granite countertops, glass backsplashes and wood and glass front cabinetry, and the spacious bathrooms have ceramic tile flooring and tub surrounds, vanities with built-in storage and separate shower options. When the on-site grocery store isn’t enough or you want to try a place, there are several grocery stores within a few blocks of SKY55, including Go Grocer, a specialty market with organic foods and produce as well as wine and pantry staples. A quick hop across Michigan Avenue two blocks away is a Jewel-Osco and Trader Joe’s for larger grocery store options. Enjoy high-rise living at its best while living at Park Michigan Apartments, whether it’s in a studio, one- or two-bedroom apartment. Residents love the natural light that fills their unit and prepping meals in the open-concept kitchen with stainless steel appliances. Those with cars will appreciate the covered parking while entertaining is fun on the rooftop deck complete with BBQ grills. The building’s proximity to the Red, Orange and Green line trains just two blocks away, as well as access to the Michigan Avenue buses, makes it particularly easy to get around sans car. Grabbing a quick bite or stocking up on groceries also is easy when living at Park Michigan Apartments. Across the street is Go Grocer, a specialty market with organic foods and produce, as well as wine and pantry staples. The shop also offers catering services. Both Jewel-Osco and Trader Joe’s are a short one block away while about five blocks down Michigan Avenue is South Loop Market, a late-night neighborhood grocery shop. We looked at all apartments in Chicago and rated them on the number of grocery businesses within a half-mile radius. We used an exponentially decreasing scale based on distance from the apartment. For instance, stores located across the street from a specific property would carry more weight than those a quarter-mile away. Our establishment counts come from commercially available business listings and may not reflect recent openings and closings.